Our relationship with money is so important because it affects almost every decision we make. National Savings Day on October 12 gives you the time to think about your saving (and spending) habits and what you can do to improve if you’re not saving quite enough. Saving doesn’t have to be painful. There are lots of easier ways to save in order to bring your dreams within reach. ​Congress passed a tax bill that slashed income tax rates, doubled the standard deduction, and dispensed with personal exemptions. ​The Dodd-Frank Wall Street Reform and Consumer Protection Act is a long title for a law designed to give consumers a fair shake against Wall Street heavyweight corporations. Tech, combined with lower unemployment, fueled a surge in the U.S. stock market. Commit to reviewing your credit report so you can address any inaccuracies you may find. Every year you are entitled to a free credit report from the three credit bureaus: Equifax, Experian, and TransUnion. Doing so will put you on more solid footing and prepare you for the best relationship of your life. There are free debt counseling services that can work with you to develop a workable budget, negotiate with creditors on your behalf, and help you prepare to buy that first house. Use National Savings Day as a springboard to a new, debt-free life. You don't have to spend money every time you want to have a good time. On National Savings Day, challenge yourself to see how many events you can find that don't charge admission. Theaters and concert venues may allow you to work as an usher — in exchange for seeing the show. Now's the time to be creative while your saving those bucks. Old-school tip: Put cash for certain everyday expenses inside an envelope so you'll know exactly how much money you have left to spend. ​Update the piggy bank concept by putting whatever spare change you have into a jar and watch how it grows. ​That is, if you're lucky enough to work at a company with a 401(k). ​Auto-pay is a great way to handle those monthly bills without the pain of pulling the money directly out of your pocket. Avoid the financial hassles associated with too much shopping by simply unsubscribing from your favorite stores' emails. Just like exercise, to get the best out of saving you have to cultivate positive habits. That might mean changing negative behaviors like shopping to excess or making spontaneous purchases in the checkout line. You improve your saving habit the more you save. 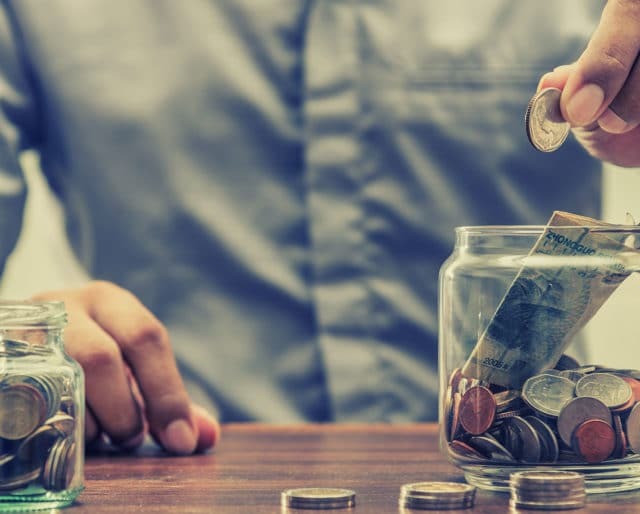 Committing to saving more money means having the resolve to analyze your spending habits, making the change, and then regularly following through over your lifetime. If you get into the habit of regularly making a budget and sticking to it, saving will be your best friend. Having a budget means you are working within your means to help you reach monthly, daily, or weekly goals. When you develop and follow a budget, you also have better control over your life. Having more control has additional benefits of lowering your stress level and increasing your joy. Stuff happens. We're living in uncertain times — so it pays to be ready while life is stable. Try to keep between $500 and $1,000 in the bank just in case. Automatically having money deposited into a savings account on payday makes your emergency fund easy to manage whether you're a high roller or on a tight budget.